Happy Christmas Eve Eve. We are only two days away & it has been a busy & exciting holiday so far. I am thrilled that we have the next few days off together as a family because it is so rare. Yesterday, there was a party for the kids at a Polish club from my husband’s home town. Mai saw Santa for the third time this season. She was still not impressed. With all of the excitement from yesterday, Mai hardly ate a thing. As you all already know if you tune in with me often, she is not the best eater. This morning I wanted to ensure that she had a good breakfast before we headed out for some last minute Christmas shopping. There is one thing that I know about my toddler, she loves to eat anything bite sized. She is a snacker. It is not the same if I cut in to small pieces. It has to be a bite sized morsel on it’s own. She knows the difference. One of my favorite breakfast foods is French toast. My daughter likes it too…sometimes. It depends on her mood. 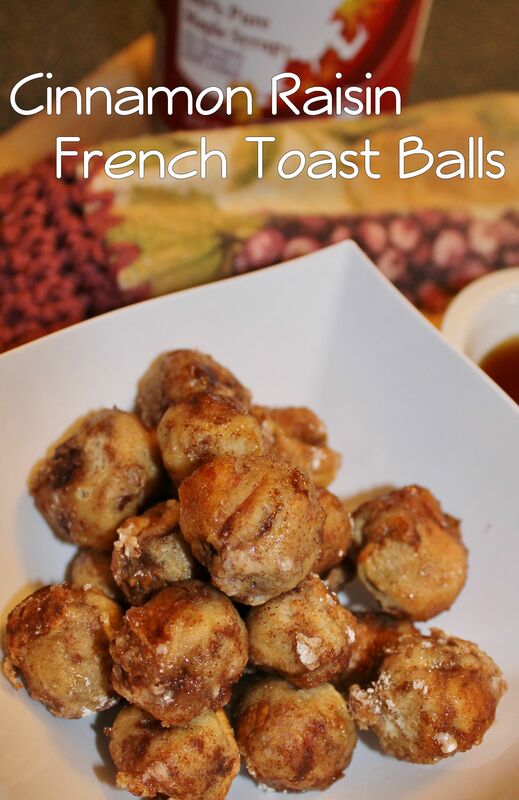 This morning we had an idea to form our French toast into little balls. Our hopes were that it would make her breakfast more appetizing. Will it work? Beat egg slightly. Mix in the vanilla & juice. Cut bread into quarters. 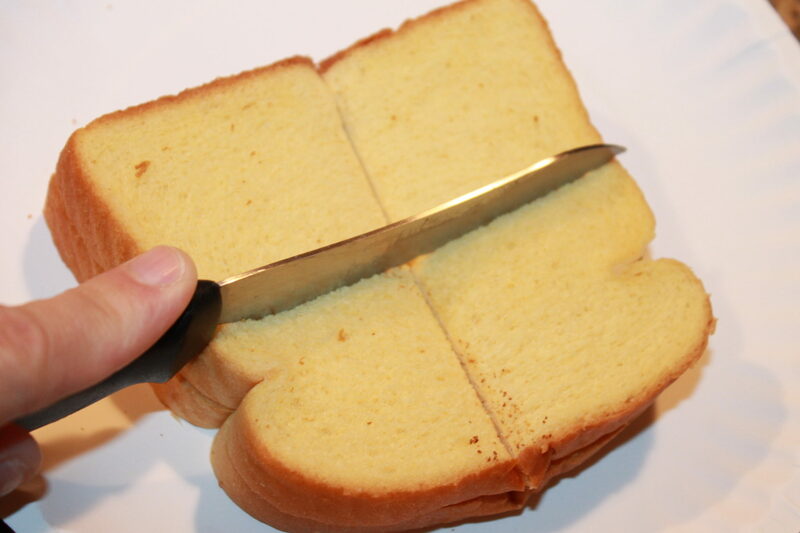 You may remove crusts for better shape or choose to keep them on. 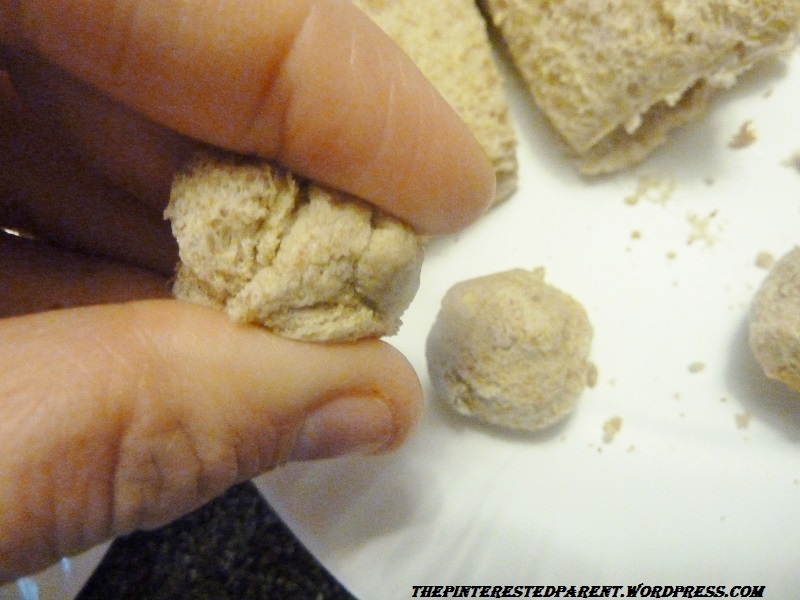 Roll into a bite sized ball with your fingers. 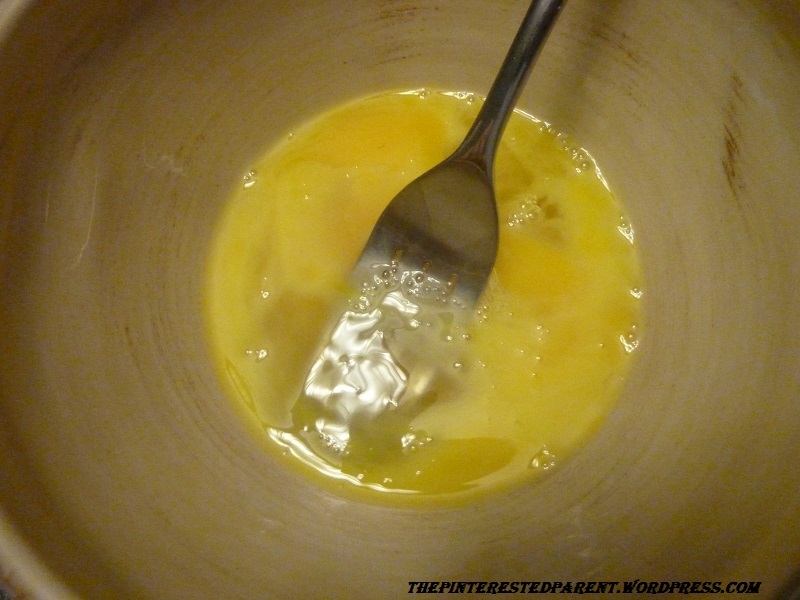 Place balls into beaten egg. Let sit for a couple of minutes to absorb the egg. Scoop the balls out. 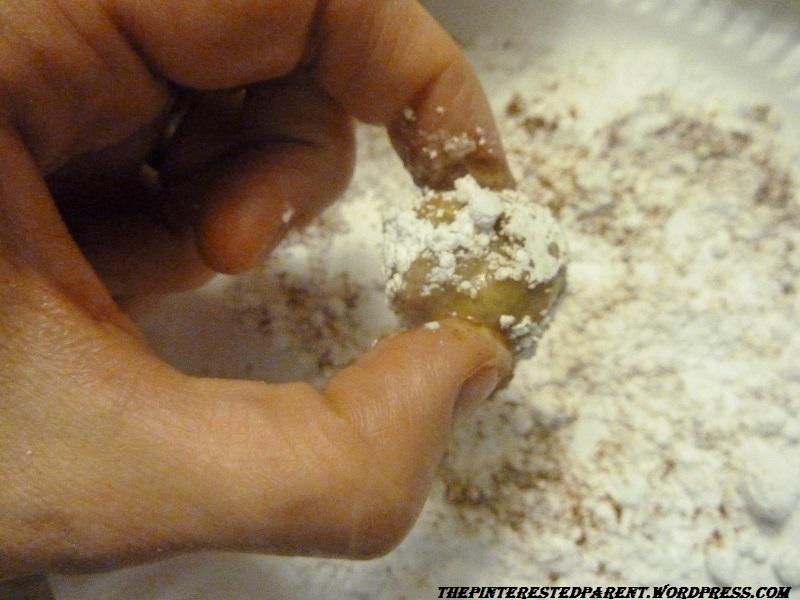 Dip into the mixture of cinnamon, brown sugar & powdered sugar. 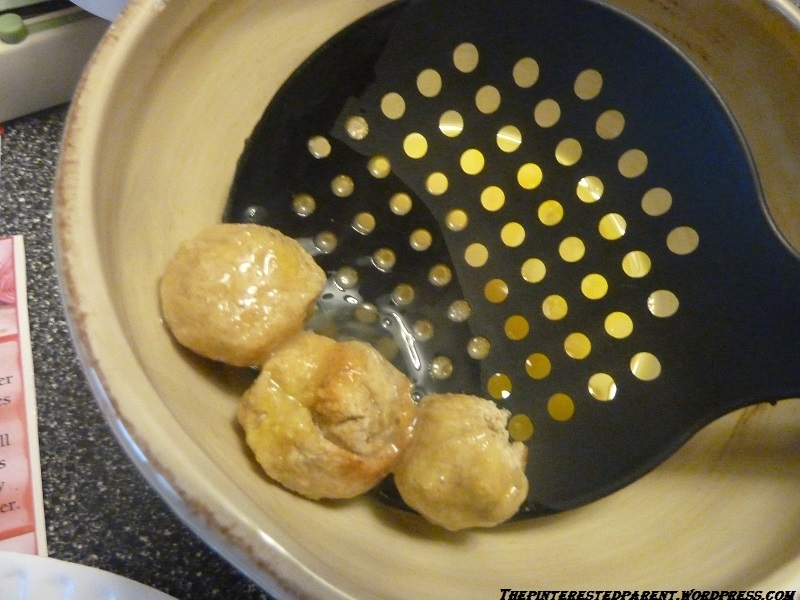 Place on a greased cooking tray & bake until golden brown & slightly crispy on the outside. This usually only takes a few minutes & cook time varies, so watch them carefully. 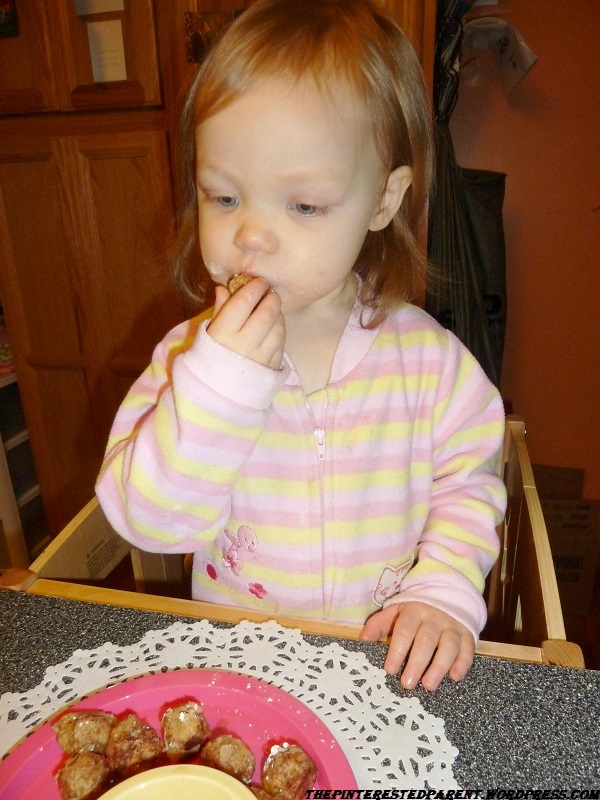 She loved helping mommy make them & she loved eating them too. I even got a “Mmmmmmm” out of her this morning. Try our quick and easy trick for your finicky toddler. Try it with cinnamon raisin bread too. Thank you, Janine. I hope your picky little one likes them. Me too! They were yummy and fun to eat. What a totally brilliant idea! Have sent link to our niece as she has a ‘snacky’ bite sized toddler. But also kept link for us, as a great sweet party food idea, thanks! Thanks Blokes. I appreciate the reblog as well. Happy holidays. Thank you for the reblog. Have a happy holiday. Oh my, these look delicious and a great way to have a social breakfast Christmas morning. Thank you. They were easy to make too. Thanks for stopping by. This looks so yummy! My son loves French Toast, but he always eat so much, the balls will be a great portion size! Love it! I have the opposite problem. My kid doesn’t eat enough. Thank you. They were good. Thanks for stopping by. We celebrated Christmas a few days early at our house, Sunday, and made French toast and all the extras as a special breakfast, I love the idea of turning them into pop-able balls. Thanks Ashley. Have a great holiday. Thank you. They were wonderful. Sounds delicious and it looks like she agrees! Thank goodness. She is such a terrible eater. She did gobble these up though. 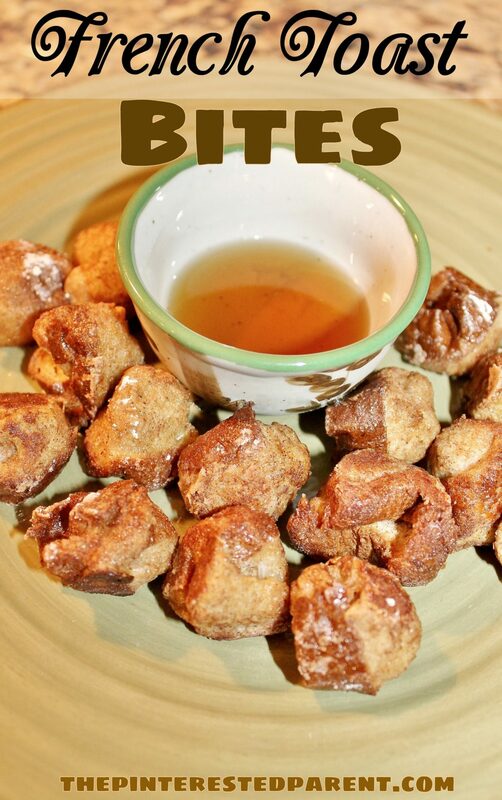 I love french toast and I love donut holes. Never thought of combining the idea! This is great! So easy to do! Thank you. 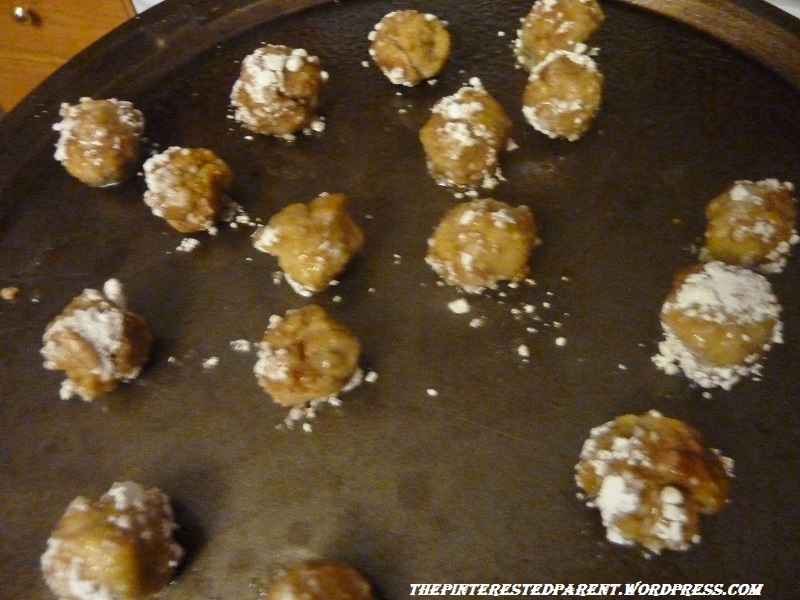 They were very simple & I liked baking them instead of cooking in a pan. Thank you. My daughter is a snacker, so these were perfect for her. I absolutely love this idea! My son is also a picky eater and loves bite-sized snacks. Like your daughter, he’s a true snacker! I’ll definitely be trying this! This is a great idea. One thing I learned is that children love things that fit in their hand, whether it’s a toy or food. When my grandson was born I realized whenever I gave him something small he loved it and held on to it so if it’s food then it’s definitely a winner. Thanks for sharing this on Foodie Friends Friday Best of Party 2013. I’ll be pinning and sharing on my FB page this weekend. Thank you, Joanne. My daughter does love the bite sized foods. Thanks for hosting the Linky. Thank you so much. We had a wonderful Christmas. I hope you did as well. So simple and delicious! Pinned and shared on Facebook 🙂 Thanks for linking up to Freedom Fridays! Thanks Jamie for the pin & share. 🙂 Also thanks for hosting Freedom Friday. Just stopping by to let you know that you had the most viewed link at last weeks party 🙂 Which means, you’re being featured at this weeks party!! It goes live tonight at 8:30 pm EST! Hope you’ll join us! G’day! What a GREAT idea! YUM! These look delicious. Fun to make and even more fun to eat! My daughter loves these so much. They are her favorite.